Need a quick card? CASE it! Yes, CASE it! CASE stands for "copy and share everything" and I definitely did that here! I copied this card directly from Brian King. I honestly don't think I changed anything because he did an amazing job coloring. Wait, I did "pop" up the window scene to give it dimension! I have to admit, the Blendabilities make me very nervous, especially since I haven't played with the very much! 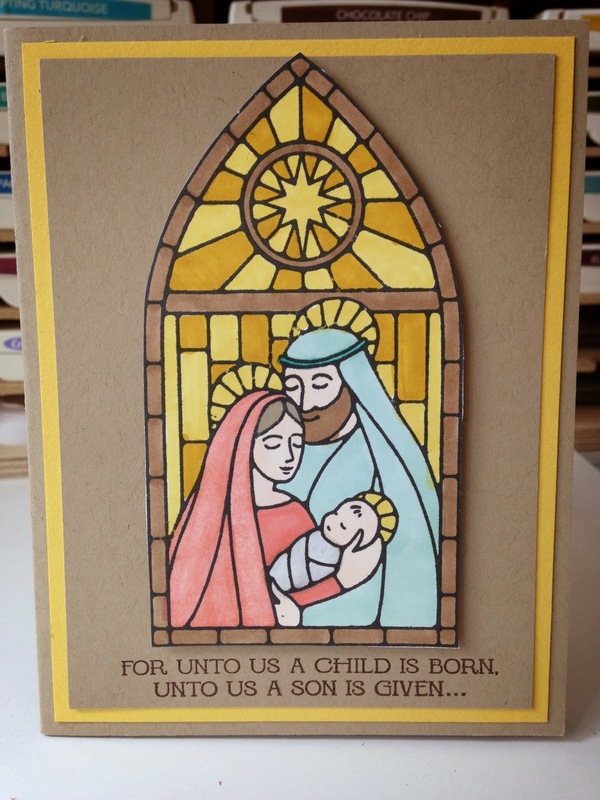 This card features the Gentle Peace Photopolymer Stamp Set. I ordered it mostly because the stained glass window reminds me of the church I grew up attending in Michigan. It had probably 10 different stained glass window scenes and this was similar to one of them. I remember staring at the during church and being mesmerized by their beauty. See you tomorrow for Technique Tuesday!